I compile this post as the festive season draws to an end, a time during which those who have wanted to spend time with their families have most likely had the chance to. Or have they? Unfortunately, for many UK citizens, all that was wanted for Christmas is the right to live with their spouse and pursue a traditional family life in their own country. Yet for some corners of society this is not a right but a privilege – a privilege which depends on your spouse being of British or European citizenship or your personal income being at least £18,600. The current family immigration rules, introduced in July 2012, prevent many non-EU family members from joining their loved ones in the UK. I feel sure that most of the families affected by these rules would agree that the propaganda machine repeating the “soft touch” and “open door” mantra when it comes to UK border control is a far cry from their experience. Is it really ok to tell nearly 50% of British citizens that they are too poor to be able to fall in love and pursue a relationship with whomever in the world they wish to? That is effectively what the current immigration rules do. The minimum income level of £18,600 doesn’t account for many variables, such as the difference in average pay in different areas of the country, the difference in average pay between women and men, and the reality of life for those who are parents. Anyone who is in a full-time job on the minimum wage would not be allowed to have a non-EU spouse join them in the UK. From international students who meet and start relationships with British students in the UK, to British people posted abroad for work who find romance with people in far-flung places, to those who meet their future spouses whilst on holiday: there are people from all walks of life affected by these rules. And don’t be fooled by being a British citizen in a job in another country that satisfies the visa application’s financial requirements: if you are living with your non-EU partner in a non-EU country, you will have to separate in order to be in work in the UK for at least 6 months before you can even apply for them to join you. Even if either or both of you are promised high paid work in the UK, this is not enough to satisfy the rules. Where the non-EU partner is the main breadwinner – even in a high-earning, professional position – the onus is on the British citizen (and them alone) to fulfil the financial requirement. Prior to these new rules introduced in 2012, the British citizen could call on the support of a sponsor to show that there were funds in place to support the immigrant partner and the financial requirement was also much lower. For example, a British student wanting to live with their American spouse could ask a parent to sponsor the visa application and the minimum income level stood below the £6000pa mark, making it very possible for students or single parents to show that they were economically active despite their commitments to study or children. Add children to the mix and the situation is all the more dire. 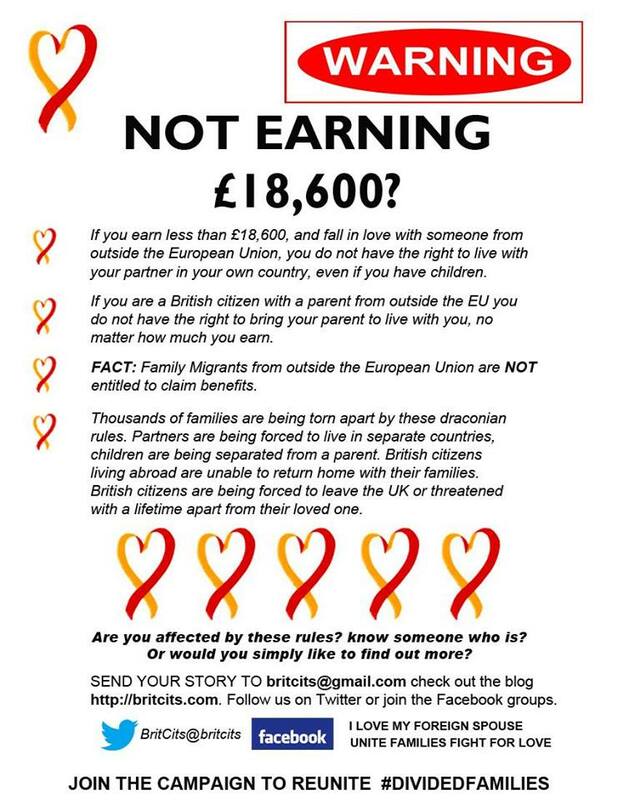 Some people state that the UK resident should “just do what they need to in order to earn £18,600 per year” or “if you’re that bothered about your family being together, you should just move to your partner’s country”. The naïvety and lack of compassion in these statements is, frankly, unbelievable to me. Without knowing a family’s specific situation, these are potentially harmful things to suggest. I have heard of some British citizens struggling to get their Syrian family members over here. Would you suggest the British citizen take their children to a war zone rather than allow the non-EU spouse both asylum and their family in the UK? There are mothers with children from previous relationships who are unable to emigrate due to the fathers of the older children (understandably) not wishing to see their children relocate to another country. All the while, married couples remain separated and any younger half-siblings in these families are unable to maintain a close relationship with the non-EU parent. Other situations involve children with specific needs who it would not be wise to move away from the support and healthcare we have in the UK. Should any British child to a British parent – wherever the other parent is from – effectively be forced into exile and potentially have to make do with lesser standards of living just because the Home Office decided to impose a high financial requirement on their parents sharing a life together? The financial requirement is increased for any families whose children have been born outside the UK and are not classed as EEA citizens. These children potentially have the same proportion of British ancestry as my own mixed-race British daughters do, yet for the purpose of this visa, they would not be classed as British as they do not have British citizenship. 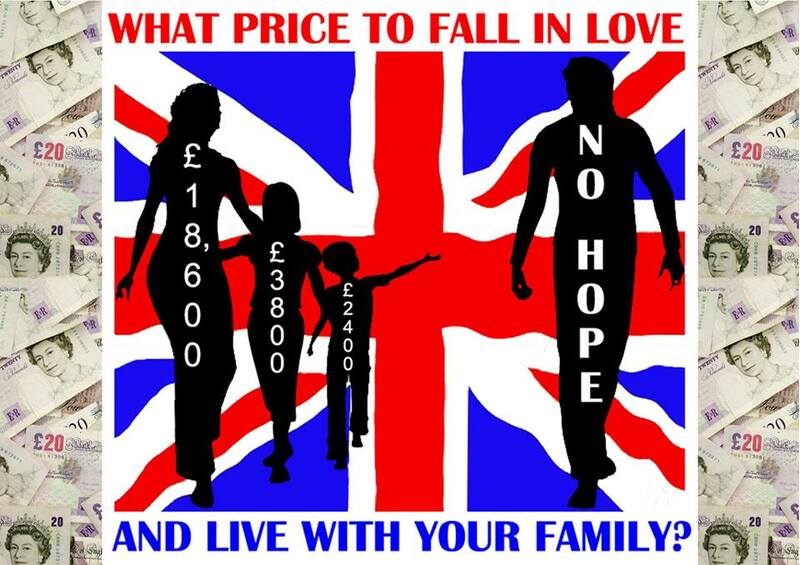 For a British mother wishing to return to her home country with her family, this makes her wish close to impossible to achieve unless she not only leaves her spouse behind but also her children in order to focus on earning in excess of £22,000 within the UK (the figure rises depending on how many children are involved), the likelihood of the latter depending immensely on the mother’s qualifications and career history. The argument about saving state benefits by curbing immigration is, for this visa category, a false and misleading one. For one, non-EU citizens entering the UK via this route are not even entitled to claim any benefits until they have been living and working (i.e. paying into the tax system) in the UK for 5 years. Add to this the fact that these rules split up the traditional family unit and create many single parent families, and I fail to see the logic. My own personal circumstance falls into this category: I live in the UK as a single mother on a low income, entitling me to a number of state benefits. Yet if my daughters’ father were allowed to be in this country to be with us and support us, we would be much more likely – as a united family – to be able to lift ourselves out of benefits and function as an economically active unit. Even if he couldn’t find work, he would have no recourse to public funds. As for the argument that the British citizen should ‘just’ gain the required income, this may be difficult for individuals without children, let alone parents who may have been out of the job market for a number of years whilst raising children. Looking at my local full-time job opportunities based on the work experience I can claim, there are very few jobs that exceed the £18,600 requirement – and those that do would no doubt be highly sought after by people who may be more attractive to employers than I (for all the talk about flexible working for parents, I’m cynical about the reality of it). Encouraging single parents into full-time work is known to be psychologically detrimental to their children, particularly where an alternative close and affectionate caregiver doesn’t provide the majority of their care. In a situation where one parent is already separated from the child due to visa rules, it strikes me as particularly cruel that the resident parent should also be encouraged to spend a significant portion of time away from the child. Instead of the parents’ desired situation of family unity, quite the opposite happens. And even once the British citizen has acquired 6 months’ worth of payslips showing that they earn the requisite amount, as well as the couple acquiring the substantial fee required for the visa application itself, there is still no guarantee of when the visa will be granted, if it is granted at all. But not to worry if you’re not earning anything – there is another way: savings. Provided you have at least £62,500 cash sat in a bank account somewhere, your non-EU spouse may join you. Oh, not forgetting another requirement first: submission of a certificate from the correct accredited English language test to prove that the non-EU spouse has intermediate level English. This language requirement is also a controversy. I strongly support the notion that people should speak the language of the country they reside in – indeed, I find it acutely embarrassing just travelling through other countries with only English at my disposal (and my conversational Moroccan Arabic is only really useful in one country!). However, both my own personal experience and research by language experts tell us that the best way to learn a language is by immersion in a native-speaking environment. This requirement also assumes the skill of being able to perform speaking and listening tasks in a controlled, academic exam. Cultural imperialism is very apparent here. My daughters’ father is multilingual, with English being the latest addition to the list of languages he can speak. I’m thoroughly impressed by the way he picks up language, and amused when he tells me to put my language dictionaries down and just use my brain. He has never sat a formal academic exam in his life. When attempting to take formal English classes at a language school in Marrakech, he felt his learning stalled; his mind went blank in class, yet only an hour later on the phone to me he’d be perplexed at how well his English flowed when engaged in natural conversation. The reason for this is simple: put a person in a pressured and stressful situation, and their ability to think clearly will shut down. It quickly became apparent that the requirement to pass a formal exam may be an even more difficult requirement for him to fulfil than the financial requirement expected of me. This leaves a particularly sour taste now I know another Moroccan national who recently came to the UK without any knowledge of the English language. Yet that family, her spouse with EU citizenship, took advantage of EU free movement rules in order to live in the UK. The positive news is that British citizens can also take advantage of EU free movement rights, assuming they are free and willing to emigrate to another EU country in order to reside with their partner. Yes, just move across the Channel and your non-EU spouse automatically has the right to reside with you! And as long as the Brit moves their centre of life to another EU country and lives and works there for a number of months, they can later return to the UK with their family as an ‘EU citizen’ with the right to a family life that this citizenship of the Union upholds. As the partner or child (whatever their nationality) of an EU citizen (in this case the British national), this right entitles the whole family to the same freedom of movement into the UK as any other EU national exercising their EU treaty rights. Yet be a British person trying to tick all the boxes from within the UK according to the government’s guidance for spousal visas, and you are up against a much more brutal system that puts economic status before a family’s needs. For many people, moving to Europe to be with their loved ones is the sensible option – and some have even suggested that, once there, they may even be happier in another EU country than in the UK. Having technically been exiled from their home country in order to pursue a life alongside their spouse, life may indeed feel much greener on the other side. I do not believe in curbing EU migration and feel the current national feeling against such free movement is the result of a paranoid island mentality stirred up by the media to support the establishment’s use of the ‘divide and rule’ theory. A glance at the figures for British citizens who have themselves emigrated to other EU countries shows that millions of UK nationals take advantage of their right to live and work wherever in the EU that they wish to – the right to be an expat is not a one-way street. However, I do believe that British citizens should be afforded the same right to a family life in our home nation as we would be afforded if we chose to live in France, Germany, the Republic of Ireland or indeed any other EU country (take your pick!). Sadly, for those who are not able to emigrate from the UK – however short-term – this light at the end of the tunnel is not visible. The issues aren’t limited to the expensive and intensive spousal visa application. Many families (my own included) who have attempted to secure a mere visitor visa for a parent to visit their child in the UK have been refused on grounds of financial status and presumptions about an intent to overstay. So, despite the fact that it would be cheaper and easier for me to sponsor a visit to the UK than it is for me to travel with three young children to Morocco, the only way my daughters can see their father is through my commitment to doing the latter. Whilst I’m quite a revolutionary thinker when it comes to global community and am open to entertaining ideas such as the No Borders movement, I know that many people affected by these rules would agree that certain limits on immigration are desirable. Yet none can fathom why it has to be families that suffer – if the government genuinely believe in marriage and family life as they say they do, there are many more visa categories that could be limited to affect migration figures whilst retaining children’s and families’ human rights to secure and maintain a family life together. In 2013 a court case took place in which the judge branded these rules as “unjustifiable” and gave those affected some hope that these laws could be challenged. However, for the time being and whilst the anti-immigration rhetoric in UK politics seems ever on the increase, a huge number of British people are left in limbo, wondering if they’ll ever be able to pursue the family life they want in their own home country. Links to my sources, further information and sources of support can be found below. Are you affected by these rules? Do you think there is a way for immigration rules to remain stringent without splitting families up? Can anyone support these rules whilst genuinely supporting the notion of a human right to a family life? I would be glad to hear your experiences and thoughts below. So much for weekly posts: it seems three months have passed since my last offering on here. However, major happenings have taken place, one of which is nicely complemented by a book review that shall feature herein. Last but definitely not least, we’re celebrating the arrival of FreeToBeNumber3 (hereafter known as FreeToBeL) who is currently snuggled against me in the sling; a sweet, sleeping three-week old. I delivered FreeToBeL myself in the birth pool at home – a quick, intense labour but a gentle water birth that I’m thoroughly glad I achieved for this precious new water sign. Just as her head was about to crown and she was making her way between two worlds, her siblings informed our dear friend who was taking care of them in FreeToBeP’s bedroom that they must see mummy right then. Thus, they checked in with me at the perfect moment and were able to greet their little sister the very moment she entered the big, wide world. In my opinion, this is the ideal welcome for a new life – in calm surroundings at home, directly into the comfort of a mother’s arms, and to the smiles and coos of friends and family. 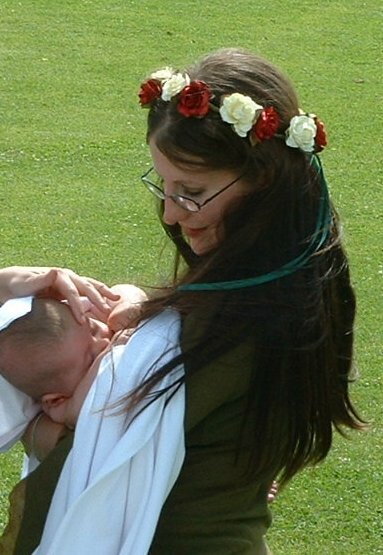 First-born FreeToBeP had an elaborate pagan blessing ceremony at 3 months old after a long, hard labour to get him out left us both exhausted rather than celebratory. I also felt, as a single mother, that it was important to see him surrounded by supportive people and to be accepted into a community. My biggest fear as a single mum is that of isolation. FreeToBeZ (who was out in 4 pushes accompanied by beatific smiles) had a similar experience to FreeToBeL, thanks to FreeToBeP’s timely entrance into the same living room where FreeToBeL was delivered. As the second-born, it felt like FreeToBeZ was born into a family; albeit an immediate and local family of only of a mother and a 4-year-old brother, it was a family with an established network of supportive friends, and a father who wanted to be involved even if immigration law meant he couldn’t be. So, an appropriate book for the moment is ‘Welcoming Babies’ by Margy Burns Knight. I read this with the kids both before and after FreeToBeL was born. ‘Welcoming Babies’ is an educational picture book which briefly describes many different ways in which babies are welcomed into the world depending on the country, culture and/or religion they’re born into. A double page of notes at the back of the book goes into greater detail about the customs and beliefs behind the ceremonies described. The full page illustrations are colourful, engaging and full of movement. I found this a valuable book with regards to learning about global community; that whilst many things in our lives are determined by the country we grow up in or the religion of our family, babies – new human beings – are celebrated all the world over, recognised in a myriad of ways for the precious new instances of life that they are. The importance of the rite of passage from womb to world is something that people of all nations and belief systems mark and respect. It also draws attention to the fact that – whatever one’s beliefs – we are all bound by ritual when it comes to birth and death. My favourite ‘welcome’ of the book was the simple but symbolic Hopi greeting; regarding the dawn of a new day and the light of the sun rise as a fitting occasion and event for the blessing of a newborn child. This reflects the ‘elemental’ blessing ceremony that I wrote for FreeToBeP – honouring Mother Nature for the seemingly miraculous yet perfectly normal process that is creating new life, and recognising the symbols in the natural world that put the microcosm of our individual lives in balance with the macrocosm of the greater world and universe. 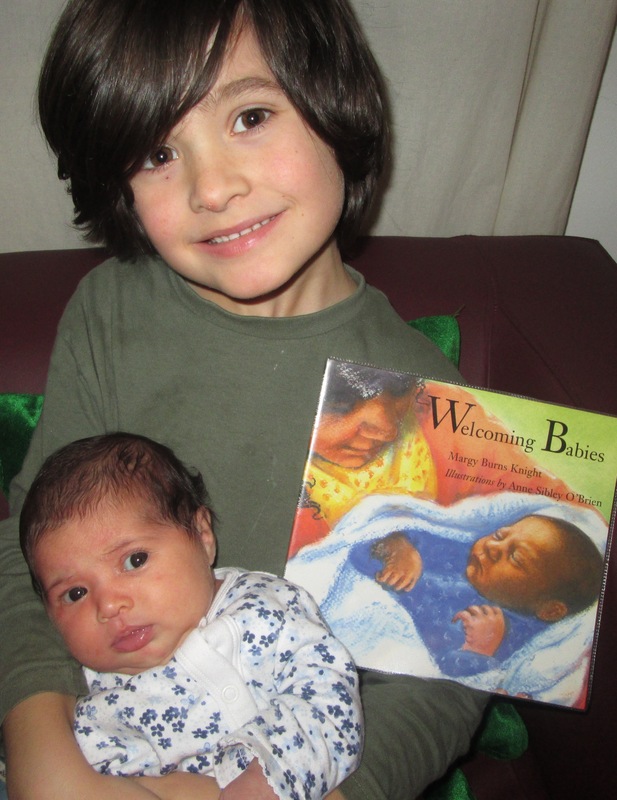 We borrowed ‘Welcoming Babies’ from our local library and, in my opinion, it is a really useful tool in the ‘teaching global citizenship’ toolbox. Many children can relate to the topic of new babies (indeed, it is a lovely book for introducing the issue of new siblings which bypasses the usual human biology and gets straight to the end result! ), and it introduces concepts of religion, spirituality, community, family dynamics and culture without any of these complex subjects detracting from the main theme. The reminder to reflect on what is truly important in life, especially when it seemed like only yesterday that your first-born arrived and yet six and a half years have passed, and you live in the unsettling mix of guilt and hope that you have learnt from the errors you have so far made as a parent. Thus a welcoming ceremony takes place each and every morning, where the light of each new day shines a light on the preciousness and precariousness of my children’s lives and I pledge to try my best to live our new family mantra . . .
Whatever the question, the answer is love. How did you welcome your child(ren) into the world? Was a formal celebration an important way in which to mark the occasion? Please feel free to share your thoughts and experiences with me. In my desire to blog about what may be classed as more exotic family travel experiences, it’s too easy to lose sight of the fact that we live in an amazing part of the UK that is a tourist hotspot in itself. Indeed, in the days since returning from our latest visit to Morocco, I’ve attended more events and indulged in more pastimes that could be compiled on a ‘Things to do in . . .’ list than I managed in Marrakech (my last post about Embracing the Ennui in Morocco no doubt drew attention to the fact that I wasn’t particularly adventurous and explorative on that particular trip). Whilst Dorset may be ‘home’ to me, I shouldn’t take it for granted – there are potentially many local places and issues I could be writing about that would benefit other families on their travels for whom Dorset is actually a destination. 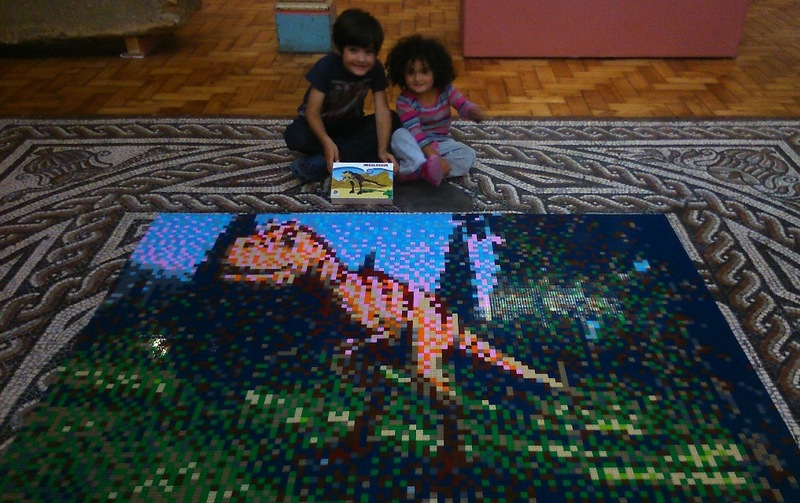 FreeToBeP and FreeToBeZ with the Lego megalosaur mosaic at Dorset County Museum. In the morning we attended a children’s event at Dorset County Museum. This was a paid event (including a Lego gift – the design wasn’t genuine Lego, but the bricks themselves were), yet the museum often runs free sessions for kids during school holidays. All we knew was that we’d be building a giant Lego dinosaur. As it happens, the ‘build’ was a mosaic – I’d been wondering how they were planning to get numerous kids to construct a single 3D creation! Each child had to help piece together the tiles that would eventually form the image using Lego bases of 16×16 studs and print outs of what each brick on that tile should be. The list of required bricks were coded (e.g. LGY – 15 equalled 15 light grey bricks) and for each new tile they came to do, the children had to go and find the required amounts from the coded boxes. They picked up the appropriately numbered base to match the number on their instructions, thus keeping track of where each tile should be placed on the huge mosaic base. It didn’t occur to me at the time to take note of the total number of tiles, but it was made up of around 154 tiles (guessing that it measured about 14 by 11 bases). FreeToBeP really enjoyed the event, but FreeToBeZ – tagging along as a little sister rather than a true participant – quickly became frustrated that she couldn’t just play with the Lego and protested loudly when we had to prise one of the final bases from her grip. It certainly wasn’t quite the ‘free for all’ experience that is encouraged in the brick pits at Legoland itself, but they had accurately advertised it as being suitable for ages 5+. However, all in all, it was a fun event and it has definitely given me more ideas of different ways for us to make use of the vast amount of Lego that is in FreeToBeP’s possession. Following on from this, it was carnival day in Weymouth. 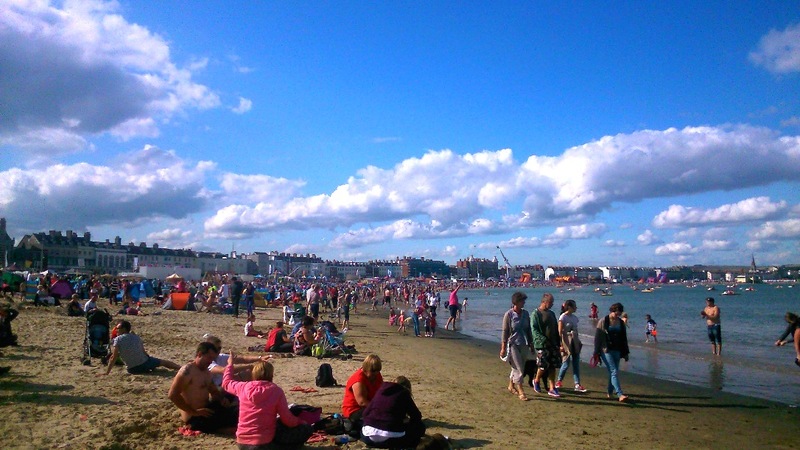 Weymouth beach on Carnival day – we managed to find ourselves a relatively ‘quiet’ spot! I actually genuinely enjoyed our walk along the crowded seafront. 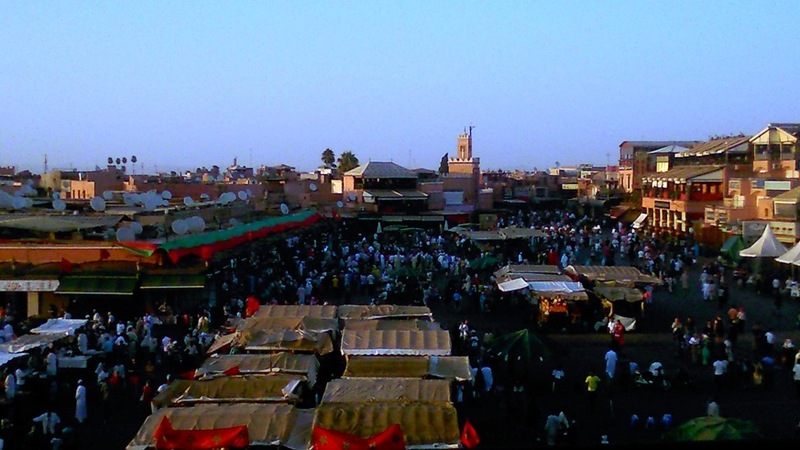 Yes, it was exceptionally busy and therefore slow-going, but compared to the crush of people I’d been forced to walk up against in the crowds of Marrakech, I could actually breath and pretty much retain my personal space – or at least more personal space than the comparative experience! It took us over an hour to wander from one end of the Esplanade to the spot on the beach we decided to head for. Usually, wandering past stalls full of cuddly toys and noisy, overpriced fairground rides would be enough to make me boycott Weymouth seafront on carnival day, yet it didn’t bother me at all this time. FreeToBeZ was so in awe of everything that I was able to live through her eyes – as she gawped at the rows of stalls and insisted that she’d be going on the white-knuckle, adult-only fairground rides (giggling at the screeching people up in the air and announcing “Me go on later? !”), I found myself smiling at the things I’d usually be cynical about. All the lights and colour brought back to me something I’ve just written about Morocco. I’d complained about how grey and drab British towns seem, and yet yesterday Weymouth (a town I usually consider to have more colour than most anyway) was vibrant and brimming with positive energy. Our aim was to get to the community radio station’s stage in order to enjoy the live music with friends. As it happens, we found no familiar faces by the time we eventually got down there and the music just became a happy background noise to the job of supervising two kids on the beach. The sun had decided to come out to bless us for the latter half of the afternoon and everyone was in good spirits, FreeToBeP and FreeToBeZ content with that desirable holiday trio of sun, sand and sea. 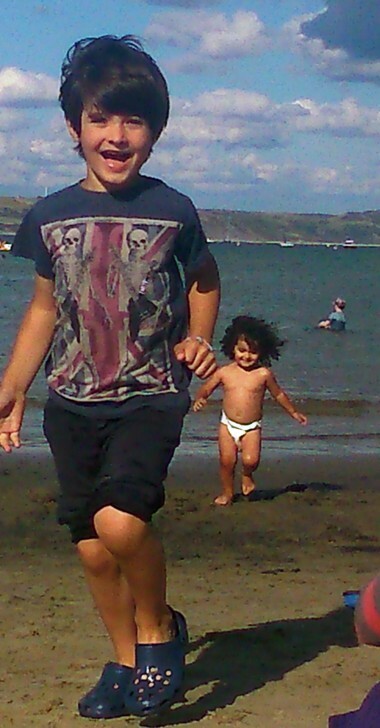 Sun, sand, sea and cheerful children. We’d decided on a mutually desired itinerary for the remainder of the day, and sat counting down the minutes until the Red Arrows’ display. I’m not usually one for endorsing the glorification of military organisations, yet I must admit to having a soft spot for the RAF’s Acrobatic Team. A combination of nostalgia about my own childhood, plus the fact that they are actually bloody good, meant that I was genuinely as excited as my children at the prospect of seeing a display. You’d have to be blind to deny the skill and precision of those pilots, and there’s something quite touching about smoke trails shaped as hearts in the sky (yet as I type this, the environmentalist in me is balking!). 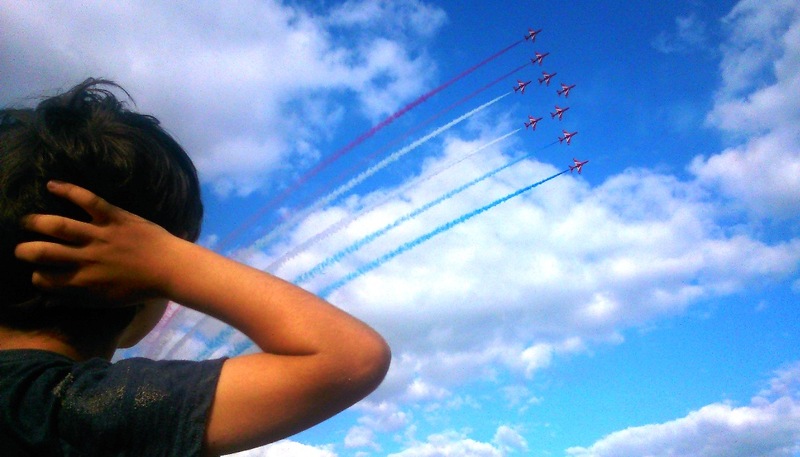 Watching the Red Arrows over Weymouth Bay. FreeToBeZ was particularly impressed by their presence. She has a ‘thing’ for planes at the moment following our own flight earlier this month, and greeted their arrival with a little dance. She voluntarily clapped in appreciation throughout the show. “Me want go in that plane!” she exclaimed earnestly, as they performed one of their famous opposition passes. As nervous as it might make me – both now (on the climbing frame) and in the future (as a stunt pilot?!) – I do hope FreeToBeZ loses none of her braveness and boldness as she grows; for a fearless nature bodes well for a life lived fully when channelled into positive occupations. Following this, we made a leisurely trip back along the seafront, stopping occasionally to satisfy the kids’ interest in the various stalls. I must have learnt something from my time spent relaxing in Morocco, for – once again – things I’d usually rush them past with excuses about whether we truly ‘need’ things, I instead looked upon in a more gentle, accepting light. We got tickets for a tombola that FreeToBeP was determined to win on and – lo and behold – he most certainly got exactly what he wanted. FreeToBeZ didn’t have the same luck, yet her big brother was aware of the injustice of this and insisted he must purchase a floral headdress for her. With my money, of course. He confidently approached the headdress seller and told him he was buying it for his little sister, a gift she graciously accepted as the trader perched it on her head. Many people enjoy watching the evening’s carnival procession – indeed, for some, this is the pinnacle of the event – yet we were all hungry and decided to go for dinner. We would return to the seafront after dark in order to watch the firework display. Generally, I’m not a big fan of fireworks, but I do enjoy the odd organised display and I had high expectations of this one. The last time I watched a display on Weymouth seafront I’d had an extremely transcendental experience, being totally drawn into the way the light and patterns of some of the professional fireworks played the sky, seemingly falling towards the audience with an invite into the vortex to . . . somewhere! “Oh yeah!” he replied in agreement. “I felt like I’d left the beach and was somewhere else.” I told him, wistfully. I don’t know how much was the power of suggestion, but I think he remembered. Yet I doubt he placed such significance on it. 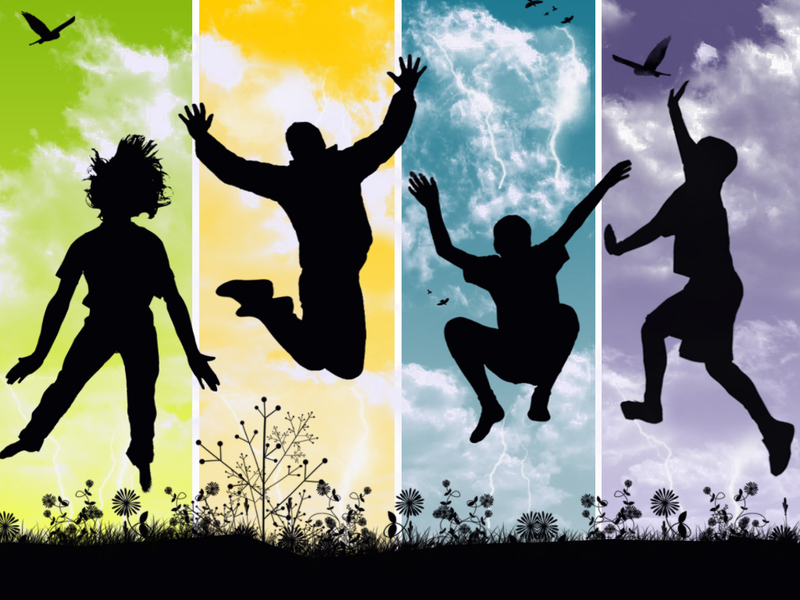 Young children are often living in states of transcendence through their power to live in the present, yet such peak experiences do not tend to happen as frequently in adult life. The display this carnival night was also a good one, if not spiritually significant (I do feel I put high hopes on such simple things sometimes!). We sat in a cosy row a few metres from the calm sea, wrapped up against the somewhat autumnal chill and rapt with the light and colour and sparkles of the show. FreeToBeZ didn’t want to leave the beach. Conversely, FreeToBeP was looking forward to going to bed (result!) with the cuddly toy he’d won. It felt satisfying and soulful to truly appreciate our locality. No, there’s not a carnival every day but there’s always the sea and sand. Today FreeToBeZ packed her little backpack, put on her shoes, unlocked the door to the outside world and told me she was going down to the beach to watch more planes. “But we’re not going down to the beach now.” I told her, apologetically. “Yeah, me like beach, me go myself! Mummy home, me go myself – ok? !” she informed me precociously. I think it’s safe to say we all had fun. I tend to have a ‘feast or famine’ experience when in Morocco, and I was pleased that my arrival this time quite literally coincided with a feast. I arrived during the evening at the end of a day of Ramadan, just in time for ftur (breakfast). I also cleverly timed my visit to coincide with the Eid festivities, the celebrations at the end of a month of fasting (Eid El Fitr being due to take place in Morocco as of Tuesday 29th July, two days after my arrival). Having not eaten since lunchtime at Luton Airport and it nearing 10pm, both FreeToBeZ and I were impressed with the spread of food that FreeToBeB laid out as a starter whilst he cooked the main meal. I could have taken my fill just with this first course: grapes, fresh figs, prickly pears (the fruit of a cactus that is abundant here), mixed nuts, fried fish, bread and sweet pastries. 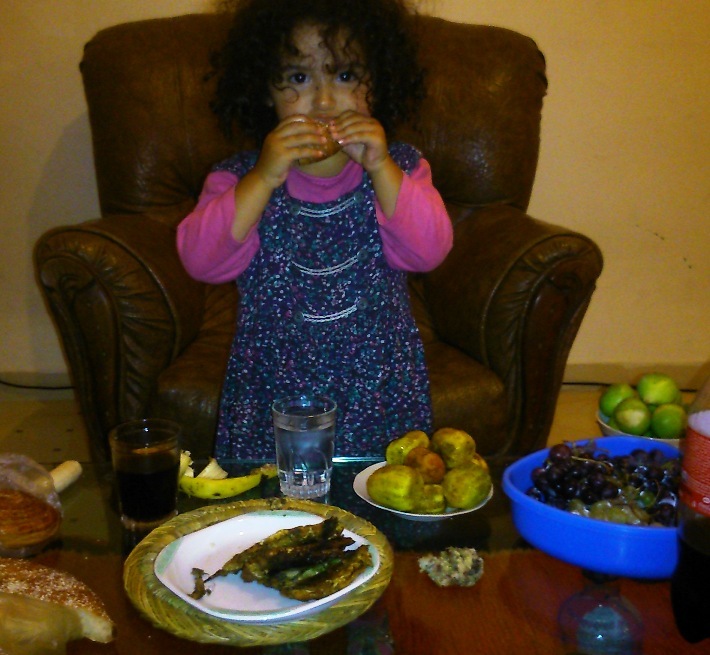 FreeToBeZ began devouring the fish, which I also found quite tempting – I usually avoid fish in Morocco, it being something that I’ve known to disagree even with native FreeToBeB, but it’s been one of my pregnancy cravings. Despite my precautionary perusal, I promptly managed to get a small bone stuck in my throat whilst 2-year-old FreeToBeZ continued to carefully stuff her bread with huge chunks of fish and greedily consume it without problem. 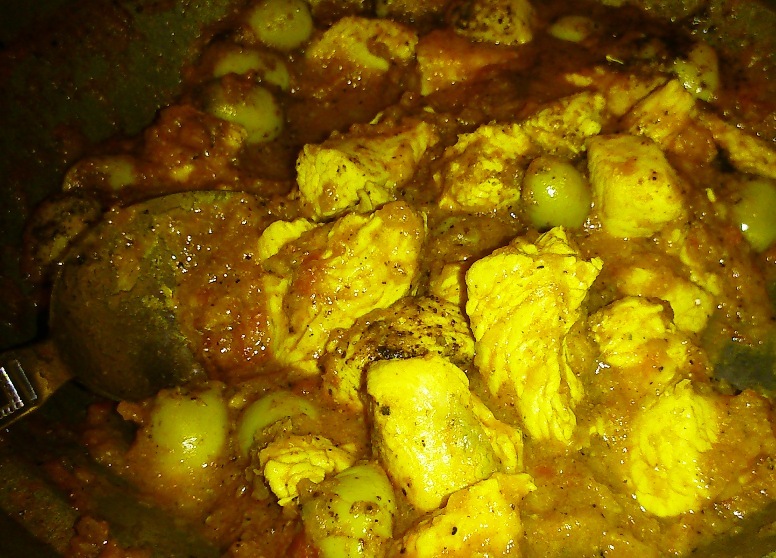 Added to the selection for the main course were a bowl of deliciously spiced mixed olives and a dish of chicken and olives cooked in a copiously seasoned tomato and onion sauce. It’s a good job a vegan diet is something I just tend to practice from my own home for health purposes and that I can allow myself to be flexible when visiting other people and places. Not that the ethics of food choice aren’t important to me – they most certainly are – but travelling has made me very aware that our ethical choices in Britain are not always practical in other countries. These choices may also not carry the same moral weight in countries where observing particular etiquette during rituals of eating and drinking apparently say a lot about the sort of person you are – I tend to find it more morally objectionable to be rude to my living host by turning my nose up at their food than to eat part of an animal that has already been killed and cooked. That’s material for a whole other blog post though (and I’ve got lots of pointers on how to retain a healthy vegetarian diet in Morocco). Following our well-fed arrival, our first full day turned out to lean more towards the ‘famine’ experience, at least until later in the afternoon. It was the final day of Ramadan and FreeToBeB slept most of it away, informing me that none of the local shops or restaurants in the suburb we were staying in would be open for food. FreeToBeZ and I contented ourselves with a small breakfast of bread and jam, topped off with orange juice – simple but satisfying thanks to the bread and juice being locally sourced and made just the day before. From late morning onwards, FreeToBeZ had her fill of breastmilk whilst I eventually took stock of the contents of the fridge at around 3:30pm. FreeToBeB had still showed no signs of stirring, yet I was beginning to go slightly stir crazy. 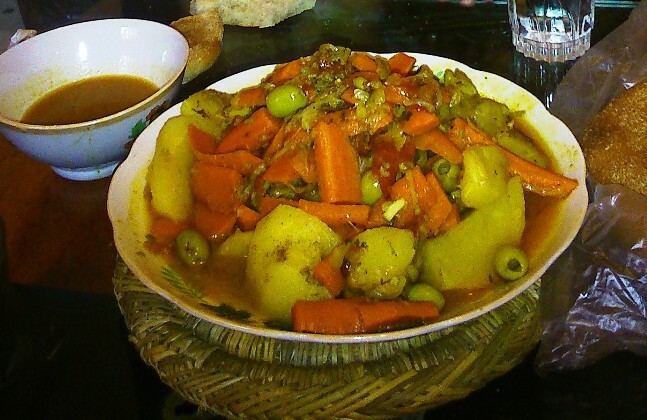 I’m not sure if it was hunger or boredom that led me to the kitchen; there’s a certain ennui I always have to come to terms with in Morocco (something I dwelt on a lot during this visit and managed to find the positives in). In the fridge I discovered the previous evening’s leftover olives, figs and stale pastries and decided they would do as a late lunch, which we ate as we watched a American children’s film on MBC3, a Moroccan kids’ channel. The Standard Arabic subtitles seemed to bear little resemblance to the Moroccan Arabic words I would have used to translate the dialogue into English and, not for the first time, I caught myself up in thoughts of how useful it would be to study Modern Standard Arabic alongside the local language. I was pleasantly surprised when our host returned from work at around 4pm to announce that he was cooking for himself, inviting FreeToBeZ and I to share. Ah, yes. FreeToBeB had expressed his disapproval the previous day that he’d spent the day cleaning the apartment for our arrival whilst observing Ramadan, yet our host awoke late and immediately disregarded the fast by finding something to eat and drink. I’m more inclined to discover what makes people tick than to immediately cast judgement upon them. As we shared the dish of chicken, liver and onions in a pepper sauce (OK, I drew the line at the liver – if there’s one thing I consistently refuse to eat, it’s internal organs), I asked my host if he was fed up of Ramadan or didn’t partake in it at all. “I know God and I don’t need a religion to tell me what to do. It’s hot in Marrakech and if people are thirsty they should drink,” said my host. I agreed with him. I’m not uneducated in the ways of fasting and the spiritual significance behind it – I’ve practiced it in the past in order to put myself into a particular state of mind for rituals I’ve been part of when I was very active in the pagan community. Indeed, Wikipedia’s article on Ramadan notes that its origins lie in the pre-Islamic pagan culture of Arabia. Fasting is undoubtedly a sign of submission and tolerance and restraint and patience, especially for a whole lunar month during the hottest, longest days of the year. Yet my host’s reply was something I’d tried to explain to FreeToBeB when he’d been struggling with the fast. I’d told him he should just eat and drink if his body was screaming for it; that no loving God would be punishing a good person for doing something necessary for health and survival. FreeToBeB had responded by telling me to respect his religion – yet my advice had not stemmed from thoughts of respecting or disrespecting any religion, but all about respecting a person’s individual autonomy and physical needs. I know the pagan doctrine of “And it harm none, do as thou will” is still a driving force for me, despite my lack of identification with any one spiritual path these days. As long as what you’re doing isn’t harming yourself or anyone else, go ahead and do it. Obviously, this could still be read very subjectively – if you believe that what you’re doing (e.g. breaking off a religious fast) may reduce your chances of making it to Paradise in the afterlife, then you would certainly see it as harmful to yourself. Yet, from my point of view, my respect for a loved one and their need to eat and drink will come above my respect for a belief system that I don’t even subscribe to and that I therefore see as having arbitrary rules. That’s not to say I believe people shouldn’t practice Ramadan. In reflection, there was certainly some way I could have acknowledged FreeToBeB’s struggles whilst supporting him to find the positives in the experience of fasting rather than denying his desire to observe it. Even as I asked him why it was so important to him personally rather than important to his religion that he observed the fast, I recognised my own individualist culture and upbringing in what I asked – for in regards to the spiritual pursuit of selflessness and the solidarity of religious community, am I totally missing the point? Yet I do strongly believe in people practicing such things as religious fasting through their own understanding of it and a genuine yearning for spiritual union with the divine. Not doing something just because everyone else is doing it, yet may have never even stopped to question the reasoning behind it. Not doing something just because you’re worried about others’ disapproval if you don’t conform. Not doing something just because that’s what your family have always done and because that’s what religious leaders say ‘should’ be done. I see little substance in things that aren’t practiced from the heart – and if you have a good heart, the thing that I call ‘God’ (Allah, Yahweh, Para Brahman, the divine, the source, universal energy – whatever name you wish to give it) knows this irrespective of whether or not you abide by a specific religious teaching and what is often merely another fallible human’s interpretation of a religious story. Yes, there are certain religious teachings that run through all belief systems that I genuinely do believe are part of the make-up of someone who is tuned into ‘God’, and they are wholesome attitudes to adopt and practice – yet these attributes, such as “loving one’s neighbour”, are things that any decent human being would seek to practice, whether they have a religion and/or a belief in God or not. I remembered talking to my host and his brother during a previous visit to Morocco and being intrigued to discover that not everyone in what is classed as a 99% Muslim country takes the religion they’ve grown up with at face value – and that some even decide to openly reject it. By ‘openly’, I’ve observed that they seem to have no qualms stating their case to friends – how publicly open they would be is another matter, especially with laws against proselytising. Tourists are generally advised that topics such as religion and politics are ‘sensitive’ issues in Morocco. However, it is thought to be one of the most – if not the most – liberal Islamic countries and I’ve always found a way to talk about my own Sufi-inspired beliefs using Islamic terminology. Religious freedom, to me, is about being free to deviate and interpret things in your own way whilst allowing others to also make up their own minds. 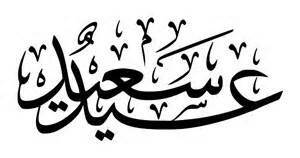 Thus I respect all those Muslims who wholeheartedly take on Ramadan and make the most of the month to connect with the divine, give charity and reflect upon their human limitations. Just as I respect all those atheists who have concluded that there is no divine being to call on or report to, yet whose hearts are imbued with much more goodness and pureness than those who practice hateful follies in the name of ‘God’. I’d actually spent a fortnight observing the final half of Ramadan during a previous visit in 2011, when I felt the hshuma (shame) of eating when everybody else was fasting. Of my own volition, I felt a need to “When in Morocco, do as the Moroccans do”. Unfortunately, being but an amateur in the ways of Ramadan and failing to get out of bed for the last meal before dawn, I probably ended up eating even less than the locals. And so much for the pride of martyrdom: I definitely spent more time selfishly thinking about my own evening meal than meditating upon my usual luxuries and praying for those who have no other choice than to regularly go without. I do, however, remember Eid El Fitr fondly and am glad to have spent a second Eid in a Muslim country. I thoroughly appreciate being in Morocco during such a special time for the people here. Judging by some of the celebratory interludes on the children’s TV channel, being in Morocco for Eid is akin to being in the UK for Christmas. However, in much the same way as the ‘true meaning’ of Christmas is oftentimes lost beneath piles of presents and frantic food shops, I’m left wondering how much spiritual reflection permeates the day to day lives of the people here during Ramadan? How much is just a waiting game for the festivities of Eid and the cheerful resumption of normal eating habits? Being spiritual yet non-religious, am I truly able to take a more objective viewpoint whilst genuinely appreciating others’ beliefs in ‘something greater’, or will any tradition I observe be severely clouded by my own cultural conditioning? If this post had a point, I suppose I’ve found it. It’s difficult to write about Morocco without writing about its food, yet cuisine was never intended to be a main topic of this blog (as much as I love food and cooking). There are already many resources out there with instructions on how to cook the perfect tagine or how to make authentic Moroccan mint tea. Yet the colourful cultural issues surrounding food are a fascination I can reflect upon as I discover this big wide world, learning at my children’s sides as I encourage them to be open-minded, curious, sensitive global citizens themselves. What is happening here? Why are people doing this and what do they believe? Why do they believe it? What can we learn from them? Do we already share any of these beliefs? What do we believe? What do you, my child, believe? Thank you for reading this post. What do you think about any of the issues I’ve discussed above? Feel free to leave your feedback below, I’d be glad to hear other points of view – or just others’ experiences of enduring or enjoying Ramadan and Eid. An interesting read in relation to raising a multicultural family. The question of identity is something I wonder about a lot with regards to what my mixed race children’s sense of identity will be in the future, especially as there is also a chance that we will end up living in a country that is native to none of us. I find the concept of ‘belonging’ quite difficult myself, and my national/cultural background is quite straightforward, so I’m fascinated with how those of mixed heritage interpret their place in the world. This week features a piece by Sara Salem, a PhD scholar based in Cairo. If to be mind-altering something must change one’s mood and behaviour, then I hope the following post will live up to its title. 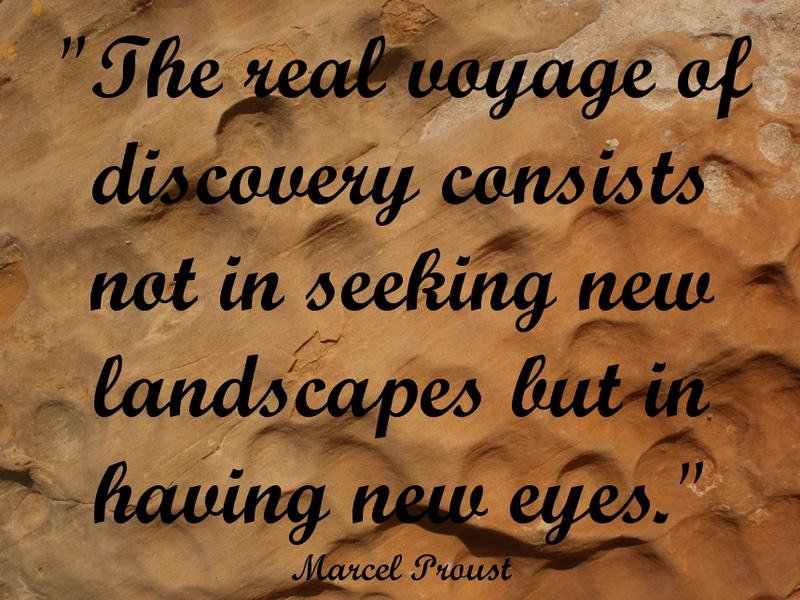 I would like to share some ways of doing and thinking that may allow your family more freedom, fun and flexibility as you journey to new horizons. My focus is on adopting an open and relaxed mental attitude to ensure you truly embrace the adventure of travelling with your children. There are plenty of resources out there sharing information about practical matters such as documentation, transportation and sights to see, but little about actually nurturing yourself and your family to make the most of the travel experience. If you travel with a genuinely positive and relaxed attitude, any obstacles and challenges can be experienced with a level of grace and acceptance that may be much harder to accomplish if you pressure yourself to stick to a predetermined plan shaped around ideals that work well at home but may not adapt so well to the spirit of travel. This list has no particular hierarchy and can certainly be added to, but herein are 10 pieces of advice for anyone hoping or planning to take a family trip anywhere in the world (yes, even Skegness). Some of them may go against conventional parenting advice but I would like to suggest that your best ally as you travel is the ability to think outside the box . . . Body and mind are as important as bags and money (or, indeed, bags of money) when it comes to anticipating a trip with children. I tend to get the packing and paperwork sorted well in advance of travelling – not because I’m super organised, but because I’m super excited! This gives me a bit of space and time to ensure I’m well-rested before embarking on our journey (or at least as well-rested as a restless single mother to two young children can be). I can’t emphasise enough how useful it is to ensure you have some well-sharpened relaxation tools in your metaphorical toolbox before you go, whether that be a well-tuned meditation practice or merely the awareness of a need to take some time out and have a drink. I’ve heard many stories of family holidays being the absolute opposite of the relaxing and bonding experience that was hoped for, and I’ve wondered how many of these families have well-established mental anchors when the stress levels start to rise. My own anchor isn’t always heavy enough to keep me from allowing the anxieties to get the better of me at times, but I generally avoid being too buffeted by the ocean of emotion when I remember the many relaxation techniques at my disposal. If all else fails – keep quiet and just breathe! Before I embark on my journey, I also take some time to reflect on what I’m hoping to get out of the trip, yet also how I can be mindful and accepting of whatever comes our way. b) in choosing to go beyond our usual environments and comfort zones with our little ones, poo happens (sometimes quite literally). Taking your own community of friends or extended family with you is a big bonus. Though perhaps not the norm, it is a set-up I would recommend whenever it is possible. I suggest that you and your travel companions speak in advance about what might be expected of each other, the details of which may be dictated by whether or not they also have children with them. The old adage that “it takes a village to raise a child” seems somehow all the more appropriate when you’re in strange new places and in need of that extra support when the kids go hyper just as you’re queuing at passport control or involved in some other such non-negotiable event. Sharing your trip with others also serves as a home base for everyone. You don’t have to agree on what to do each day and you may separate to pursue different outings or activities, yet it is comforting to know you will be seeing a familiar face for dinner or evening drinks. Whilst preparation is the key to making a smooth getaway and in ensuring you have everything you need for the duration of your stay, spontaneity is a good trait to practice during your actual holiday. 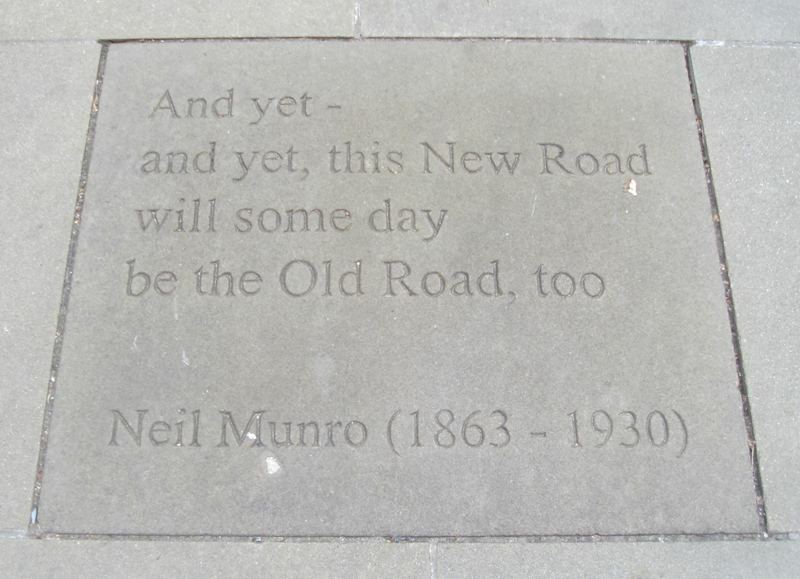 I generally have some idea of things that I’d “quite like to do” in a particular location, yet I do my best to avoid setting in stone what will happen when. Keeping a loose agenda takes the pressure off and, if you do have a day where it feels better to stay close to your accommodation for easy rest or if the kids seems a little off-colour, this can result in a fresh burst of energy the following day when – feeling rejuvenated – you may end up packing lots of activities into a single day. Be dictated by the needs and feelings of your family rather than by a schedule. 4) I Repeat – Forget the Schedule! Well, they were rather bemused when the visiting family told them that their children would be going to bed as per their usual early evening bedtime – and that the visitors also expected the hosts to impose the same bedtime on their own child! Many would argue that adherence to as close a routine as you have at home is desirable. Whilst this is true, particularly for young children, with regards to keeping things familiar and consistent (e.g. retaining the same comforting bedtime routine, whatever time bedtime actually falls), being too focused on this can be a stress in itself – especially if there have been delays during the course of the day (be it problems with transport or the need to accept some countries’ more ‘mañana’ attitude). Here we must make the distinction between a ‘routine’ and a ‘schedule’. If you’ve passed the usual 7pm wind-down time and everyone is still waiting on an evening meal, you’ll do yourself no favours by worrying about it. You all need to eat and you’ll all get to bed eventually. As long as you respond to (and, ideally, premeditate) your children’s needs for food, drink, toilet stops and sleep/rest throughout the day, kids themselves are incredibly adaptable and accepting beings who, depending on their age, aren’t that conscious of the actual time. As long as they’re with a loved and trusted caregiver who doesn’t berate them for behaviour that results from any tiredness, they can feel ‘at home’ in themselves. 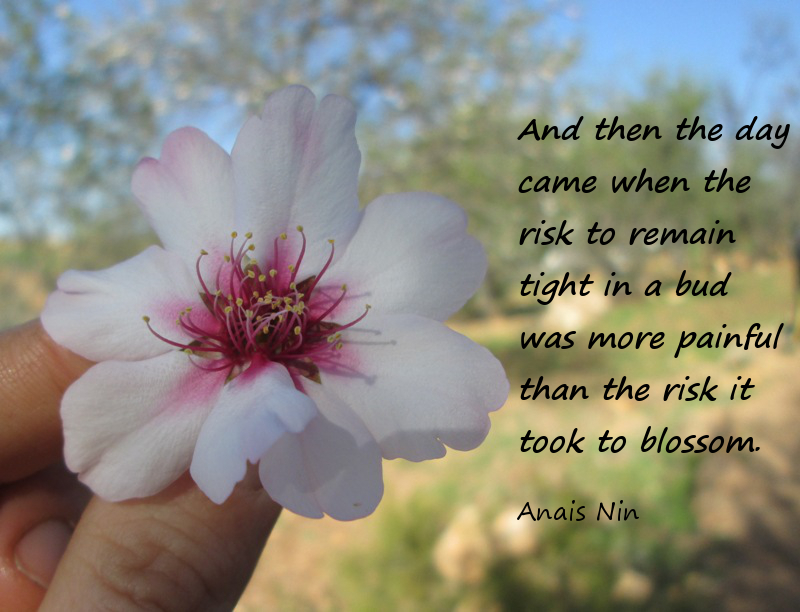 By all means resume your scheduling when you return home, but embrace the spirit of adventure whilst you’re away – take a risk and see what happens! Eat when you feel like eating, sleep when you feel like sleeping, and build your usual little rituals and routines around that. If all hell breaks loose and the kids start pushing for tighter boundaries on their time, rein it in again. But you could be pleasantly surprised by the opportunities it gives you and how liberating it feels to fall into natural rhythms. I find that remembering one’s sense of humour is most useful when around the inevitable grumpy old men you will cross on your travels (I can count at least three) who will invariably find a reason to audibly complain about your children, even when your little sweethearts are actually being on their best behaviour. Some people just aren’t child-friendly. Don’t take this personally. I vividly recall standing in the queue for passport control when returning to the UK and both kids were tired and in need of a trip to the toilets. They were complaining very noisily. A couple in front of me did much staring and tut-tut-ing before the woman loudly announced to the queue “This is why I’m glad I never had children!”. I actually felt quite sorry for her. Reflecting on this, I could just as easily have felt sorry for myself. Thankfully, I was quite seasoned at travelling with the kids by then and was able to shrug it off and even snigger about it when an airport official then let us jump the long queue precisely because I did have children. I’ve also employed humour to get me out of many an argumentative situation with FreeToBeB. We don’t have the luxury of living together full-time in order to create a stable basis for our relationship before we’re travelling around Morocco together and dealing with the usual family travel gripes. It can make our time together as a family fairly intense. Mid-disagreement I will remember to think about how ridiculous our concerns are in the great scheme of things, and I will break into a smile and laugh (if you want a reminder of how ultimately insignificant all our worries are, check out this link ). My giggles aren’t always met with a matching reaction, but at least my own tension is released, which means there is no animosity left for the other party to feed on other than whatever they still choose to dwell on. I’ve also employed the method of making fun of our previous fallings-out to lighten the mood and remind us that we always make up in the end, so better to make it sooner than later. Emotions are often heightened for couples during travelling, so I imagine these techniques could work for anyone – including with our children, whose own moods can only be calmed if we ourselves are calm. Turn holiday time into adventure time! For some, the words ‘family holiday’ may conjure up images of all-inclusive excursions to busy holiday resorts. I’ve never taken a package holiday with my kids (unless a night in Legoland counts), although I can certainly see the appeal in the apparent ease of this. Yet I’m not satisfied with run-of-the-mill ‘family entertainment’ (i.e. I tend to find it downright cringe-worthy) and tend to think there are so many more activities ‘out there’ that can open their minds, hearts and souls to all that is beautiful and diverse and possible in this world. Some people may feel less able to think creatively when they have children to consider and perhaps assume more ‘outside the box’ activities just aren’t possible for families. This makes a good excuse for taking the easier option. However, the easier option is rarely the one that develops us as individuals, and I heartily recommend going outside one’s comfort zone when it comes to planning a family break. There are many other ways to ‘do’ family travel which allow us to introduce our children to new and exciting aspects of life which may not otherwise be easily available to them. Whatever your interests or ambitions, there will be someone out there catering to families or at least making provisions for adults who will be accompanied by children. And if there isn’t? Well, there’s that niche business idea you’ve always been after! 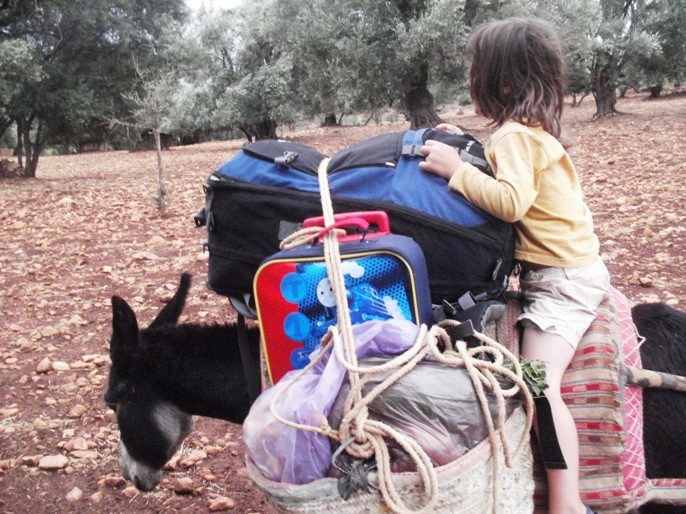 Volunteer programmes such as WWOOF (World Wide Opportunities on Organic Farms) offer families the chance to work and learn whilst experiencing different countries and cultures. CouchSurfing is also a popular way to go out and experience the world. You are accommodated for the price of a gift or favour to the host (which itself isn’t obligatory but certainly good social etiquette) and you also benefit from experiencing the destination from the point of view of a local, including the added bonus that you might have a free walking, talking guidebook. CouchSurfing is great for people genuinely interested in cultural exchange, including language exchange. You may feel more comfortable staying with another family who are familiar with the ways of children, yet there are many couchsurfers without children who are more than willing to host entire families. Backpacking is also an option. I successfully spent 5 days backpacking and CouchSurfing around Andalusia with a 25kg rucksack, FreeToBeP (then 5 years old) carrying his small backpack, FreeToBeZ (then 15 months old) on me in a front-carrying sling, as I hobbled along on an injured foot (brave or crazy? You decide!). Yes, it was hard work. Yes, it was extremely satisfying and life-affirming. I will be covering the topic of packing lightly in much more detail in a couple of weeks’ time. However, many of us have a tendency to over-pack, and this can be an additional and unnecessary burden in an already challenging situation. There are also many lessons in doing the exact opposite and taking as little as you can get away with. I try to pare things back by thinking about what I really need for survival and comfort, and about what I can do at my destination. Perhaps there are things you can purchase at your destination instead of lugging it around in your luggage? Maybe you could do a little washing every couple of days instead of packing more changes of clothes? This also does away with the mammoth laundry task when you return home. Travelling has also truly alerted me to how much we have in this country compared to many places in the world and how bizarre some of our ‘necessities’ are. That’s consumer society for you! It was very humbling (and somewhat embarrassing) to realise that I often take more personal possessions in a single suitcase than many Amazigh women have in their entire homes. 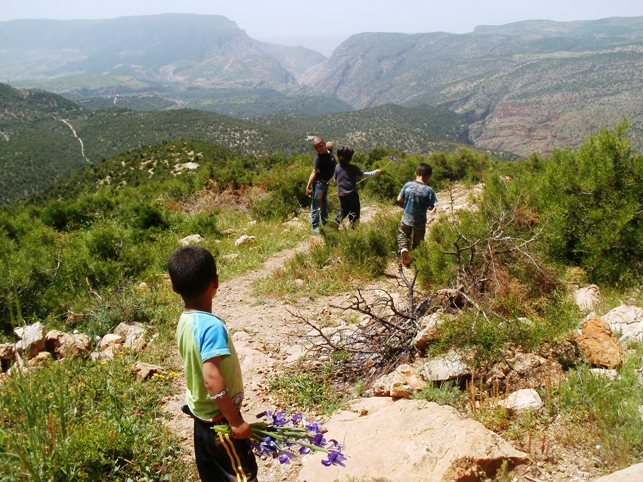 FreeToBeP takes more toys in a couple of pencil cases than a whole family of young boys may own in the Atlas Mountains. Yet every place has its pros and cons. In the mountains, nature is their playground. FreeToBeP can forget all about Lego for an entire day when he has tree-climbing, rock-scrambling, bug-hunting friends to explore with, with the required trees, rocks and bugs right on the doorstep. In urban landscapes, we make up for that lack of natural freedom by filling rooms full of toys. I’ve found that the less you take, the more you are forced to really take in and take on what is around you. Ergo, you go from a sight-seeing tourist to an all-seeing traveller. Don’t be afraid to do things on the cheap if you need to. Having a low budget does not prevent you from travelling – but it does make you more resourceful. Most of the things we think we ‘need’ as families are actually things we’ve just become used to and dependent upon as adults in a highly commercialised, consumerist society, whereas children are naturally quite adaptable in new and different situations. Indeed, as with the examples above about packing, this can help to highlight different cultural and societal norms that your children may not experience if you partake in a holiday resort experience in a country where the typical activities and living standards of a resort are not the embodied experience of the families who actually live in that country. Depending on the age of your children, you may all be comfortable sharing a double room (or even one bed) for your travels. I once booked a single room for myself and the two kids in Spain with camping mats as our second bed; the hotel owners actually provided a second single mattress for the floor at a cost of 6 Euros (their standard charge per child), which still ensured the single room remained cheaper than the double, and much cheaper than a family-sized room. Provided you are capable of doing a quick risk assessment upon entering a hostel room, there is nothing wrong with booking a low budget room for your family and doing your own safety-proofing where necessary and possible. Ultimately, you – and no amount of health and safety legislation – bears the responsibility for keeping your children safe. If anything, taking the cheaper and apparently less ‘child friendly’ option can make us all the more attentive and responsive as parents (by which I mean being more present for them opposed to wrapping them in cotton wool). As with all things, trust your intuition. That said, I’ve stayed in some really grotty places that I would never recommend to anyone. It has made me really aware of what I’m prepared to compromise and what I’m prepared to pay for. And, also, how clean my home actually is despite housework not being one of my strong points (for I’ve never entered my own home wondering what that awful smell is only to discover a decomposing toad lying under my bed, maggots and all. That’ll serve me right for staying in the cheapest place in town). Again, I would heartily recommend options such as CouchSurfing to families on a budget. One of our big joys as a CouchSurfing family is hosting and meeting other families in our own home. I also know of families who have arranged home swaps via CouchSurfing for the purpose of taking a cheap holiday. If cheap equals simple, I like to think simple is the blank canvas required for further blue sky thinking. A room without a TV and a hostel without family entertainment will force you to spend more time bonding as a family and to get out exploring as much as possible. I know that my truly budget travels have been the times that have resulted in the greatest challenges yet also the greatest learning. Going at a child’s pace may be something we’re happy to do on a leisurely wander up to the local shops, but compile an itinerary for a journey (particularly by public transport) and we suddenly see a list of strict deadlines which we will make our children adhere to. Provided you factor it in before you’re due to make your trip, it is possible to take your time. The journey to your destination need not be one fraught with panicking parents and cranky kids as everyone gets hurridly ferried between connections. If need be, book a pre-flight hotel stay. When booking in advance, I’ve been able to book a well-equipped, en suite family room complete with king size bed for as little as £18 a night at Gatwick, with kids eating for free in the morning. I find this extra expense a good investment for a payback of reduced stress levels, well-rested children and an extra day of travelling adventure. I will often do this even if my flight isn’t particularly early, as the peace of mind experienced from knowing I’m already ‘at’ the airport when I wake up in the morning is invaluable. I actually find it much easier when I’m away somewhere to factor in all the dawdling, fussing, staring and general messing about time that young children must do. At home I’m much more likely to be preoccupied by a to do list or the need to be somewhere at a specific time, yet the nature of taking holidays should enable us to stop clock watching, be more mindful of the present moment, and ungrudgingly take things at the pace of the slowest members of the group. Yes: slow down, lest all the speed just blurs the scenery. 10) Through The Eyes of a Child . . .
. . . is an amazing way to view the world! Taking this view allows us a greater understanding of children’s needs as young travellers, yet also allows one to be the most open, non-judgemental person possible in a new environment. Zen Buddhists (yes, them again) talk of seeing the world afresh in every moment, and this is all the more apt as travellers – to leave behind our own cultural conditioning and experience a place for what it is rather than what we feel it ought to be. And, in meeting them in empathy, truly allowing our children to do the same. Please feel free to feedback in the comments below. Do these tips have the capability to alter your mind? Which of them resonated for you and which didn’t? Do you already have success in utilising some of these things? Keep following Free To Be for my top tips on travelling as a single parent, travelling with a baby and travelling whilst pregnant.